There are many companies that help to provide the resources and tools so I can create the crazy inventions you see on my Youtube Channel. I have worn Etnies since my BMX days and continue to wear them now... every day... even to weddings! 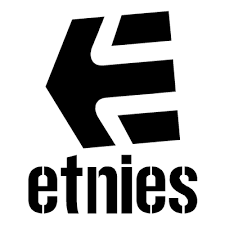 Many thanks to Etnies for sending me shoes and clothing to wear. Cordless tools are the way forward and for me having a bank of batteries is required to keep me working at speed. Thank you to Ryobi for giving me the tools I need to keep creating, a few tools have even become a part of an invention! CNC plasma cutter, well this has just changed my life! It gets used pretty much everyday and makes projects like the shredder possible. ​They supplied me with my lathe, bandsaw and slip rollers. I love the band saw its super accurate and cuts smoothly, I'd be lost without it! I have used the 3D printer given to me by LulzBot on many inventions, what a fab piece of technology. Simple bearings have hugely supported me with many creations over the last few years since they saw me using the online shop. Lincoln Electric have provided me with a powerful welder, but also importantly fits under the bench, the 200C thats great for fitting in small workshop.